We have everything you need to throw the best party for any occasion. 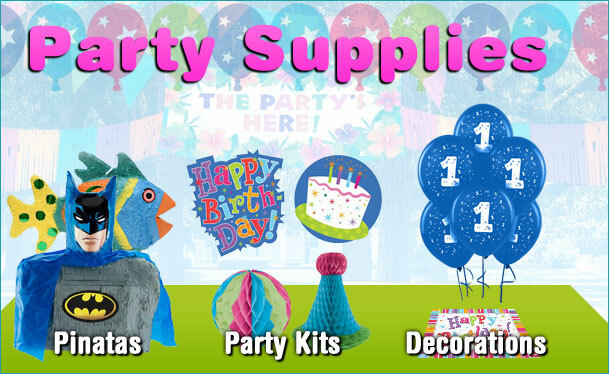 From party kits, to pinata's and decorations, let us help you plan and coordinate your bash with our great selection. Don't forget about our Free Shipping! Plus we offer 20% off any order $100 or more!